Welcome to Plastic Surgery Center, P.C., home of South Bend cosmetic plastic surgeon, Stephen E. Zucker, MD. Dr. Zucker and his team provide a comfortable atmosphere where patients can receive the care they need to meet their aesthetic goals. Our staff is highly trained and offers plastic surgery treatments to help you look and feel your best. We make your introduction to our office as easy as possible. Our front office staff is adept at finding out how they can assist patients and is proactive in helping you feel comfortable from the time of first contact. During consultations, Dr. Zucker learns what patients are interested in and allows them to describe, in their own words, how we can help. After an initial exam, both the patient and Dr. Zucker work together to create a treatment plan. 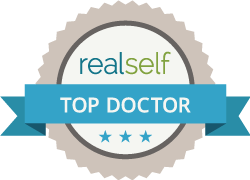 Dr. Zucker is a board certified plastic surgeon and has been in practice for over 25 years. His commitment to safe, advanced treatment and maintaining a well-run office allows him to offer dependable cosmetic plastic surgery in South Bend at a predictable cost. Plastic Surgery Center, P.C’s valued patients work with a small, familiar number of staff members and get to know our team as a whole. With our focus on bringing patients safer and more effective procedures, such as SAFELipo, we are unique in our field. To learn more about how our outpatient procedures can help you realize a better self, contact our Michiana office today. Plastic Surgery Center, P.C of South Bend/Mishawaka , IN is close by Notre Dame Campus and Memorial Hospital in downtown. * Like us on Facebook and receive monthly specials! South Bend Plastic Surgeon, Dr. Stephen E. Zucker is a medical professional dedicated to excellence in plastic surgery and offers services such as the breast lift, augmentation & reduction, liposuction, botox treatments, tummy tuck, CoolSculpting, & more.